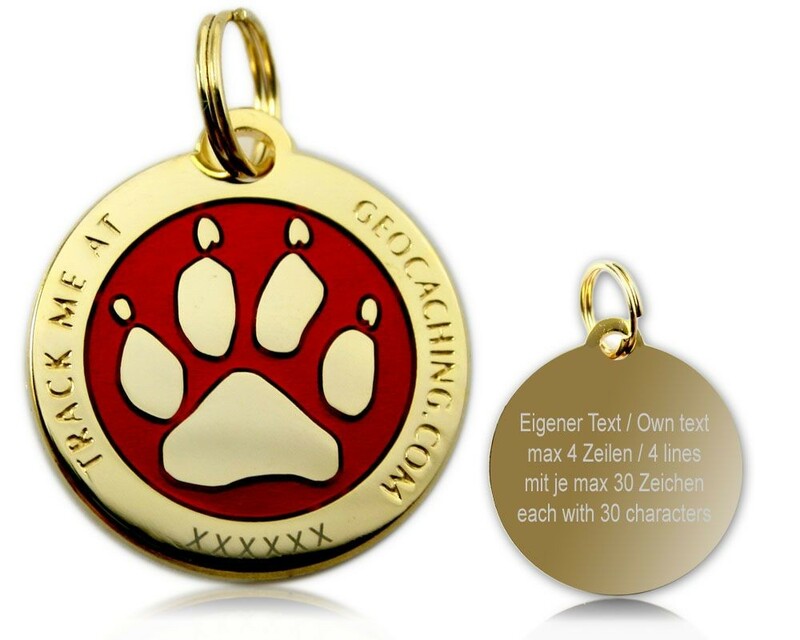 Perfect for your dog, cat, or other pets: The Cacher's Dog Geocoin for all animal lovers. It can be attached to your pet's collar with the included ring. You can personaly engrave it on the backside (4 lines, each up to 30 letters): e.g. telephone number, name, etc. 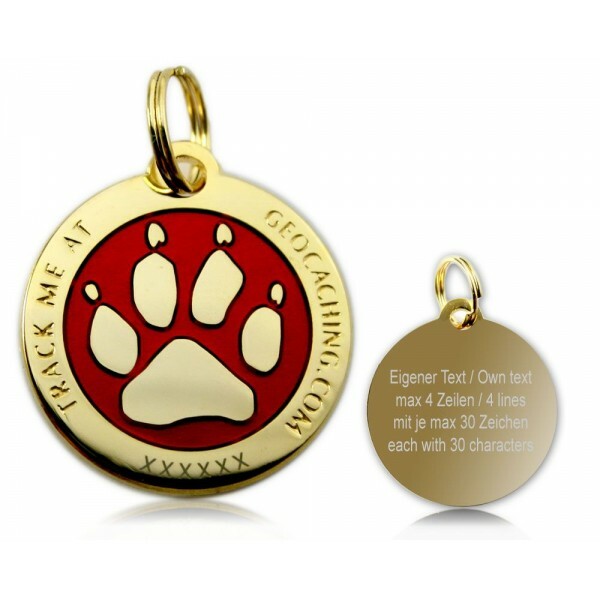 The Geocoin is trackable at geocaching.com with its own icon, so that you are able to log your pet online.